What's the first thing you look for in a laptop when upgrading? I know as a blogger, I look for a laptop that has a high-bandwidth RAM and can work with my multitasking because I know I'm not the only one who has multiple programs and browser tabs open at once! And as a mom, my daughters love to play their games, so I need a laptop that can keep up with me and my family! Best Buy is always my first stop shop and my eyes and heart are locked on HP Envy x360 Laptops and here's why. HP Envy x360 laptops are 2-in-1 devices that can transfer from a laptop to a tablet in seconds. These touch-screen laptops come with Windows Ink capabilities and a Windows operating system so you can write on the screen with your stylus. AMD processors make them fast and thin so you can take them with you anywhere you go! The 1920 x 1080 resolution boasts impressive color and clarity. Natural finger-touch navigation makes the most of Windows 10. IPS technology for wide viewing angles. Energy-efficient WLED backlight. Substantial high-bandwidth RAM to smoothly run your games and photo- and video-editing applications. And because I can't contain my excitement over this amazing HP laptop, here are some more features that I LOVE! HDMI output expands your viewing options. Connect to an HDTV or high-def monitor to set up two screens side by side or just see more of the big picture. Bluetooth interface syncs with compatible devices. Wirelessly transfer photos, music and other media between the laptop and your Bluetooth-enabled cell phone or MP3 player, or connect Bluetooth wireless accessories. This mom blogger is SOLD on the HP Envy x360 Laptops. And I cannot wait to upgrade to this HP beauty! 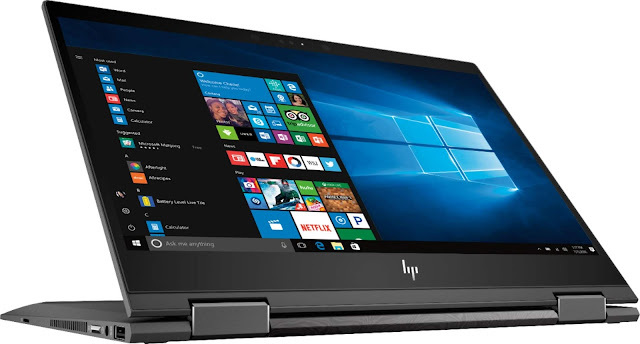 And right now you can save $100 on the HP Envy x360 Laptops at Best Buy, offer expires 7/28/2018. 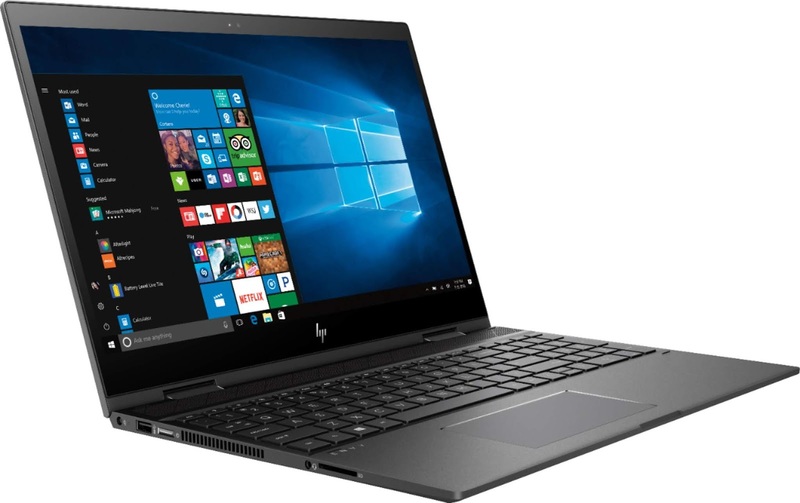 Vist Best Buy to learn more and get your HP Envy x360 laptop TODAY! My grandson needs a new laptop and this looks like the perfect one for him. This would be a great upgrade for him. I love it! I am looking for a new computer and will check this one out soon. I am digging the laptop-to-table option. I have my devices so scattered about that I am wasting time searching for what I need. It is that time of year to be sending college bound kids off to college with a new laptop. Plus alway nice to find something for ourselves while we are at it. I am in the market for a new laptop and this sounds like a good one. I am going to have to head to Best Buy to check one out. I will be in the market for a new laptop soon. The one I have is still working but it is not as happy as when it was brand new LOL. I will definitely consider this one when I look. I love the laptop and tablet options which would save me so much time. I will look at BestBuy when I get my next computer. I want to check into this for my son because it combines the computer and laptop together. I'm in need of a new laptop and was hoping there would be some back to school deals. I'll be checking these out. Thanks! I have a desktop right now, our laptop broke years ago. I would love a new laptop that also functioned as a tablet. I love my desktop and have a hard time thinking about parting with it. However, having one like this would be so great to grab and use on the fly! SO neat how it can go from a laptop to a tablet. I just got my mom a new tablet, I wish I would have known about this one sooner! Yep, its true as a mom blogger I can have like 15 tabs open and I need them all open! This sounds like a great laptop table. Hopefully it will be my next one too. I love the 2 in 1 laptops. They are so easy to use and look great! I am actually in the market for a second laptop. It sounds like these are great options. I am picky with laptops and these sound promising! I love that this can transform from a laptop to a tablet. It sounds like the perfect laptop to take traveling as well as to use for every day tasks. I also look for laptops that have high-bandwidth RAM. Have earlier used HP laptops and they do offer good value for money. The HP Envy X360 seems to pack in a lot of features. It does look sleek too, seems to hold lot of promise.